Ousmane graduated from the oldest African film school in Ghana, as film director. He came back to Mali in February 2002 and started working for the BBC as fixer (doing on-location research). He quickly started managing a hip hop band called TATA POUND, by then the most succeful malian hip hop band, known for its socio political engagment for the population. The more the band was sensored by the „government“, the more successful it became. Ousmane Diadié Touré kept on fixing for various press groups and film companies at the same time, developing contacts and relationship with the press world. In 2005, he produced and directed a 20-minutes film titled „NYÄGAMI“,a comedy adressing social issues, that won the „Prix spécial de la Guilde des Producteurs et Réalisateurs Africains“ at the panafrican film festival FESPACO 2005. The same year, he is appointed by Cheick Oumar Sissoko, famous African film maker and former Minister of Culture in Mali (current head of Fédération Panafricaine des Cinéastes), director general of KORA FILMS, a successful malian cultural center and film production house. Ousmane Diadié Touré managed KORA FILM, producing, directing, co-producing films, organising training sessions and major cultural events such as a music festival (Festival de l'eau de Manantali). His direct engagment as a civil society leader began after the coup d'Etat in Mali in 2012 ; when a group of soldiers otherthrew the democratic elected President basically a month before elections. Ousmane says: „It was like a slap on the face of malians“. Together with a group of friends, and artists, they created „Les Sofas de la Republique“ and played very active roles into getting the country back on track. His house became the headquarter despite the threat then of the military regime. With the occupation of three quarter of the country by religious extremists and rebels seeking division of the country, Ousmane Diadié Touré out of engagment felt the need then to get closer to people, and started working full time as a journalist, reporting for several press groups (BBC, chanel 4, etc...), participates actvely to many talk shows, and travelled to all occupied areas of the country trying to understand. In 2014 he started working for the Hirondelle Foundation, that established in Mali Studio Tamani – media for peace. 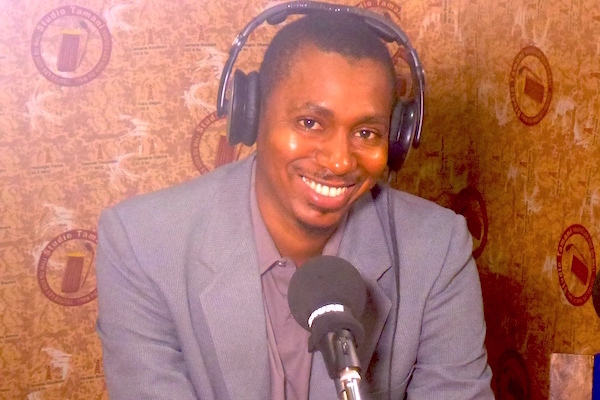 His work at Studio Tamani took him to deal with all actors of the crisis in Mali: rebel groups, government, civil society, political institutions etc...It is through inclusive dialogue through media that he is bringing together all malians for the good of the population. With his engagment in the „Sofas de la République“ andhis current work as a journalist he is willing to contribute into building peace for Mali. One format contributing to this purpose is a live talk show program called „Grand dialogue“, that points its microphone at everybody and every social group in Mali: It is sharing the microphone equiably.